Quilting UFOs are not objects flying in the sky -- unless we toss them into the trash because they're so ugly. When quilters talk about a UFO, they are referring to an unfinished object, the partially sewn quilts and quilt blocks we all seem to accumulate but never finish. Why Don't People Finish UFO Quilts? The quilter ran out of fabric before making enough blocks for the quilt. A quilter lost interest in the project, maybe because it didn't look as envisioned when choosing fabrics for the quilt. Maybe the quilt includes too many 'mistakes' that would be difficult to fix. Small variations may not even be noticed in the finished project, but many quilters are only satisfied with perfection. Some quilters love to make patchwork or applique quilt tops but aren't as fond of creating a quilt sandwich, basting the project, and quilting the quilt. 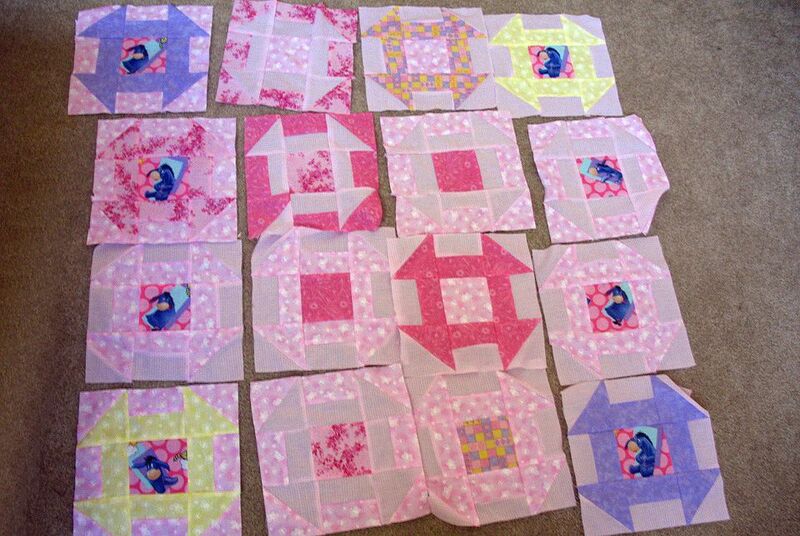 The quilt tops pile up and are left unfinished. New quilters might not have learned how to actually finish a quilt. Sometimes it's just the binding that remains unfinished. It's easy to sew the binding to a quilt, but many quilters put off that task as long as possible and eventually forget to do it at all. Sometimes quilters pass away before a quilt can be completed. There is an endless number of reasons why an unfinished quilt might be tucked away. Where Can I Find UFO Quilts? You'll find quilting UFOs stored in the bins and baskets of nearly every quilter. We're not the only generation of quilters who have accumulated partially completed projects and random quilt blocks, which are usually called orphan quilt blocks. Look for vintage quilts listed in online auctions, at estate sales, and at flea markets to find blocks and quilt tops from many eras. What Can I Do With a UFO Quilt? You have several options for giving your UFO quilt life. Scrap quilts are usually easier to complete because you don't need to worry as much about matching fabric types and colors. Reproduction fabrics are available for quilters who want to finish a vintage quilt. Reduce the size of the quilt if there's no way to find fabrics that work with a UFO. Use cutter quilts to make stuffed animals, throw pillow covers, pillowcases, or any project that suits your needs. If you love quilts but aren't a quilter, today's growing number of longarm quilters will sandwich, quilt, and even bind quilts for their customers. Some charitable organizations accept quilt top donations. Volunteers will sometimes complete the tops. Take a look at your own fabric stash. Do you have UFO quilts that can be put to use? Maybe you can help those UFOs find a new home and finally be completed. If not, and they remain in your 'someday' stack, be sure to store the quilts safely so that someone in a future generation has an opportunity to complete the project.